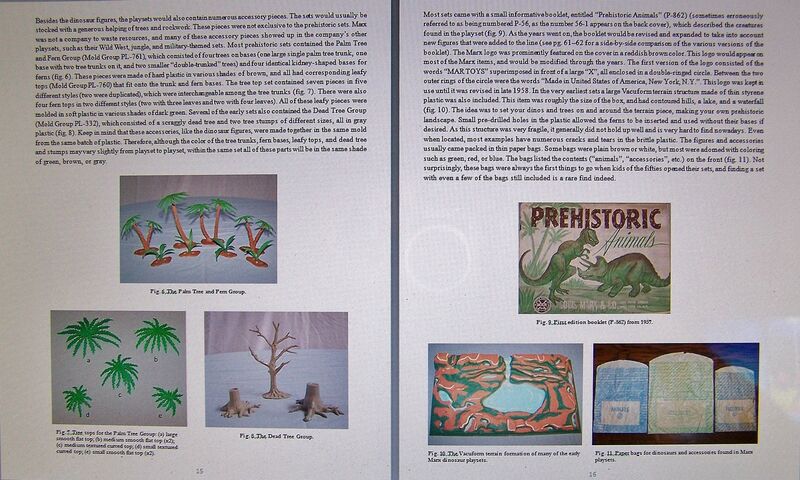 Wanted to remind anyone interested in my book Dinosaur Playsets: an Illustrated Guide to the Prehistoric Playsets of Marx and MPC that copies are available on eBay (as well as directly to me via PayPal ($44.99 +$3 shipping) to japfeif(*at*)aol.com and through Amazon....but preferably as a last resort as their fees have gotten ridiculous!)! Available copies are going faster than expected and the time to print more when these are gone can be a bit lengthy (as I found out after the first run sold out), so please check out the auction (there are a few sample pages on the listing) and if you are a fan of playsets (and other dino items) from Marx & MPC (of which there is VERY little info available elsewhere! ), as well as Superior, Whitehall Games, Spaulding, Toy Street, etc., and also related figures & sets from companies often confused with Marx, MPC, & the like (such as Ajax, Nabisco, Ja-Ru, etc. ), this is definitely the book for you! 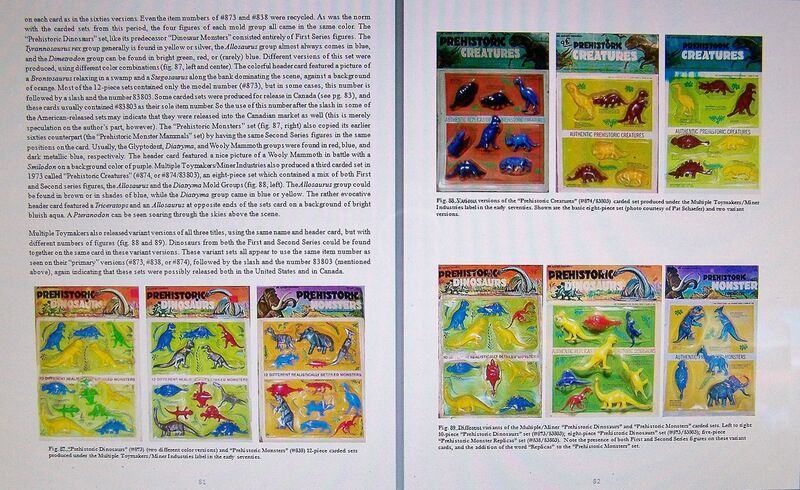 Reviews have been great (check out Amazon), I'm quite proud of it, and want to be able to share this guide to these often-neglected playsets with all you dino fans!!! 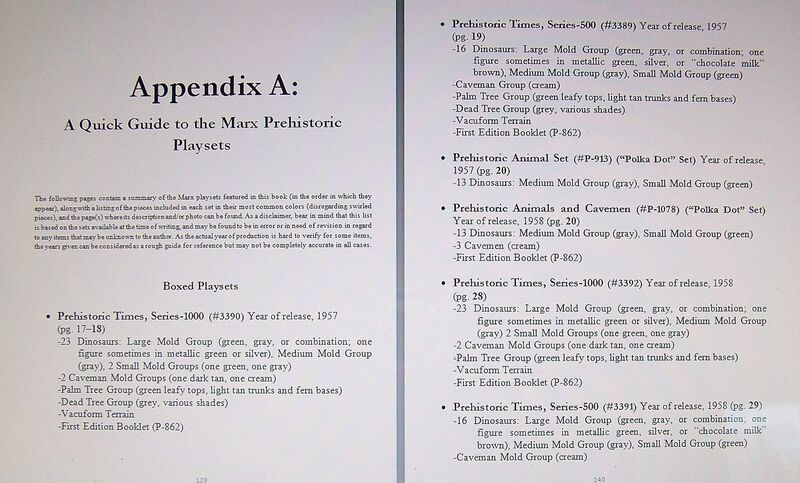 I'm not a dino collector, myself, but the book looks terrific! I'm always happy to see books like this get published. Adding valuable information useful to the collecting world! ...the book looks terrific! I'm always happy to see books like this get published. 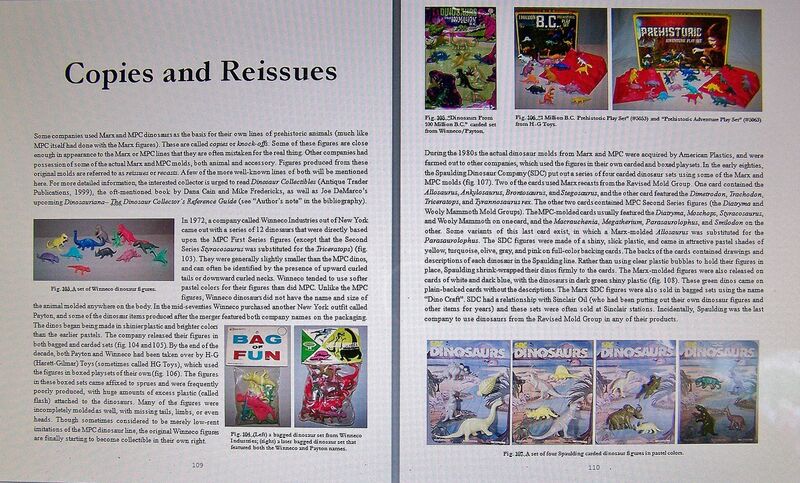 Adding valuable information useful to the collecting world! 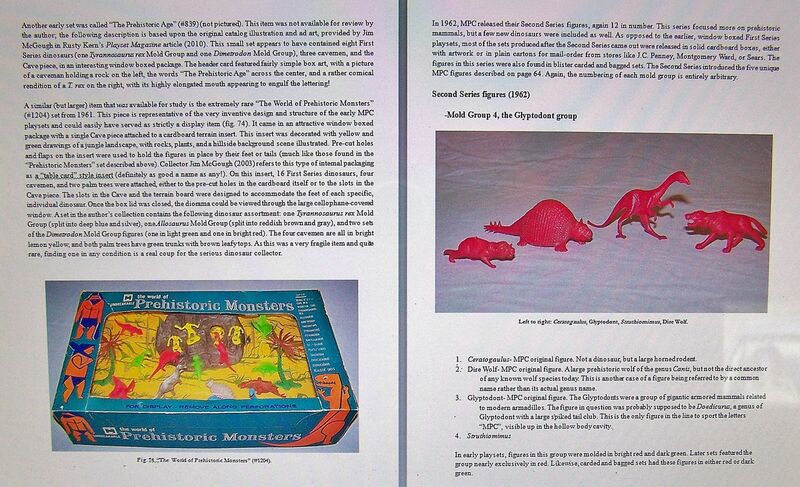 Sorting out the history of the Marx dinosaur play sets from this thread isn't easy especially with all the pictures that have disappeared into the ether as a result of Photobucket's vandalism. Nonetheless, I've decided to give it a try. Great work Hepcat. I've never owned any sort of playset but have always liked them. 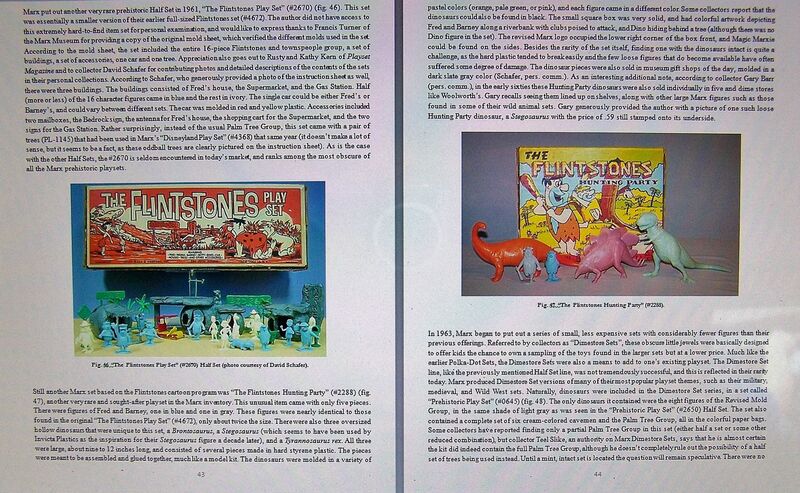 Nice collage Hepcat...although you know that the first pic was a facsimile box & not the authentic one! I've seen them on eBay...very good work on them though....the designer has even made a few of sets that were never made but "should have been", like a King Kong playset!!! He does good work! 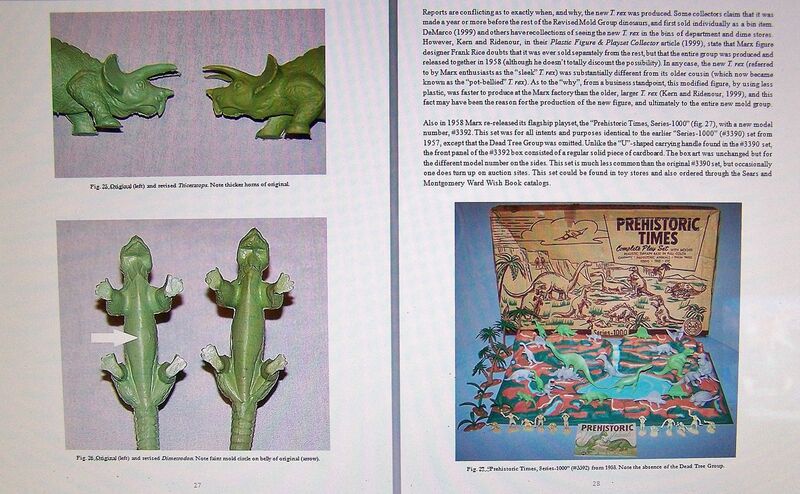 This post reminds me that I want to mention that copies of my book Dinosaur Playsets: an Illustrated Guide to the Prehistoric Playsets of Marx and MPC are still available, and I recently put a few on eBay! Nice collage Hepcat...although you know that the first pic was a facsimile box & not the authentic one! Complete except for the Smilodon. 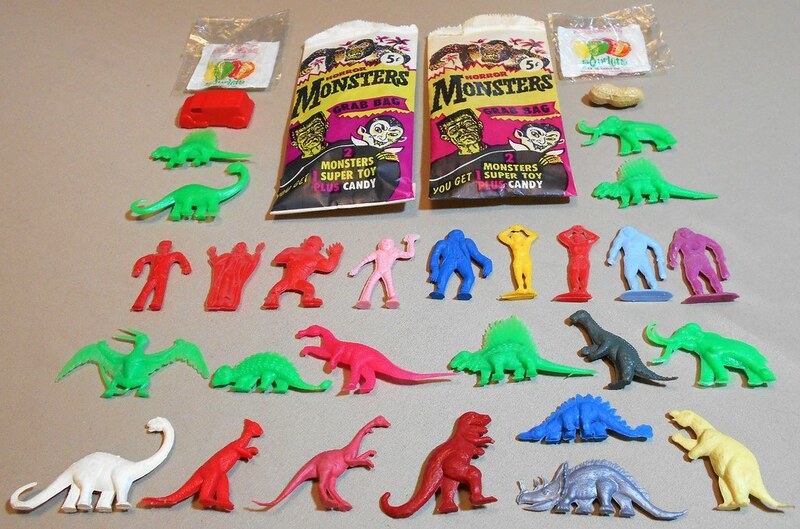 Best dino/prehistoric animal figures are tough to find. 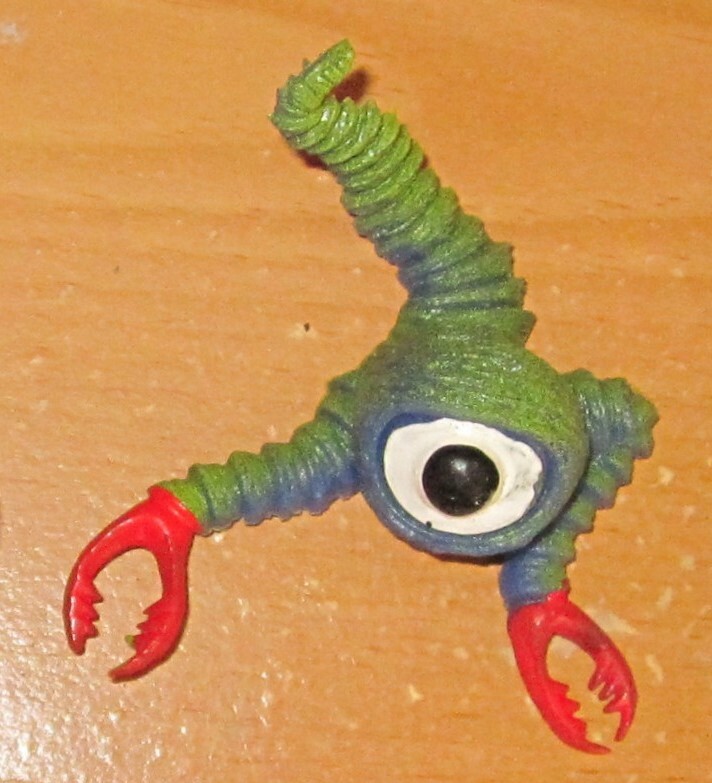 I bought this new from TRU back in the '90s. The Heisei Series was all the rage in those days so this playset follows the plotlines from those movies somewhat. 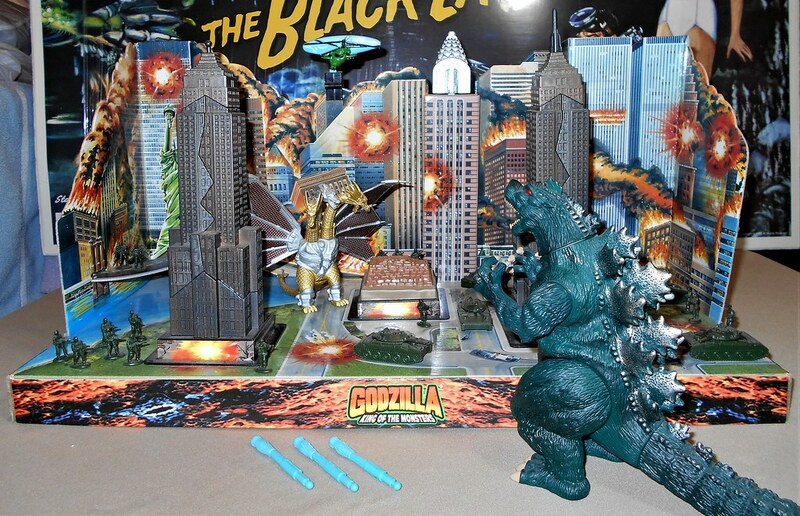 King Mecha Ghidorah helps defend the city against the Big G. This playset doubles as a target game. 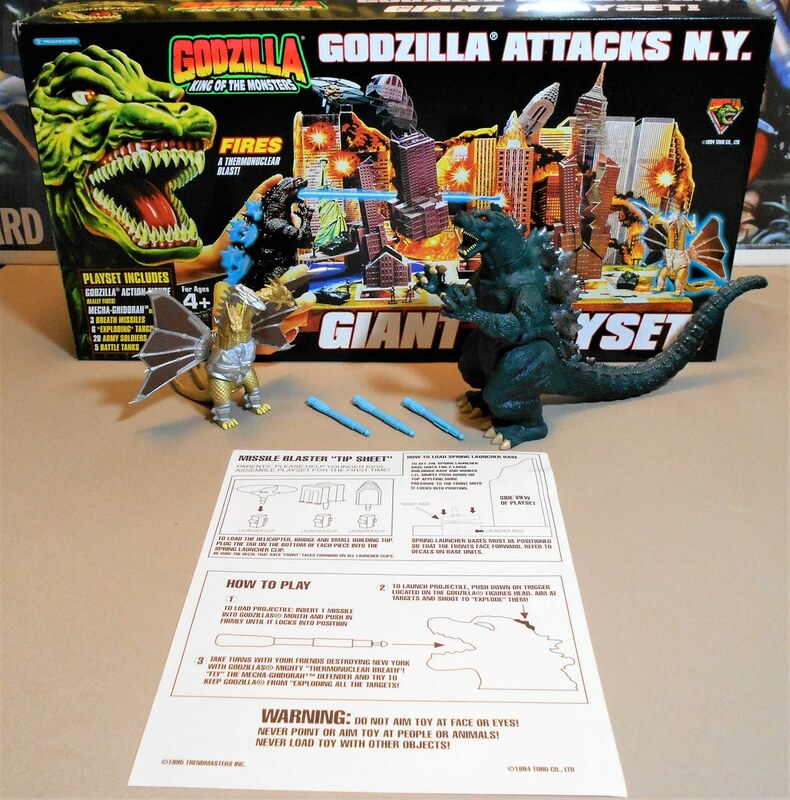 The Godzilla figure shoots blue missiles from his mouth that represent his radioactive breath. Different parts of the city "explode" when hit in the right place (spring loaded pop-up bases make the break-away pieces fly apart). I checked it and everything still works. The "breath" darts still fire with some good velocity. A ten year old in 1995 is now 33 years of age which is plenty old to look back fondly on the toys and playsets he had in 1995! He sent me samples of the King Kong and Godzilla boxes he made for this past Halloween, as well as a sample of next years Dinosaur Boxes offering. I added the Best Plastics Flats. Yep, everything fits in those 3 boxes. Jason also sent the 2 Monster Markers at the bottom of the pic. Thanks, Jason! Love this stuff, man. Oh man! 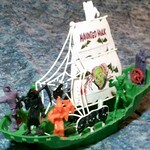 And what's really cool is that I can appreciate all this junk every bit as much now as I did as a ten year old!